Hey my beautiful ladies! 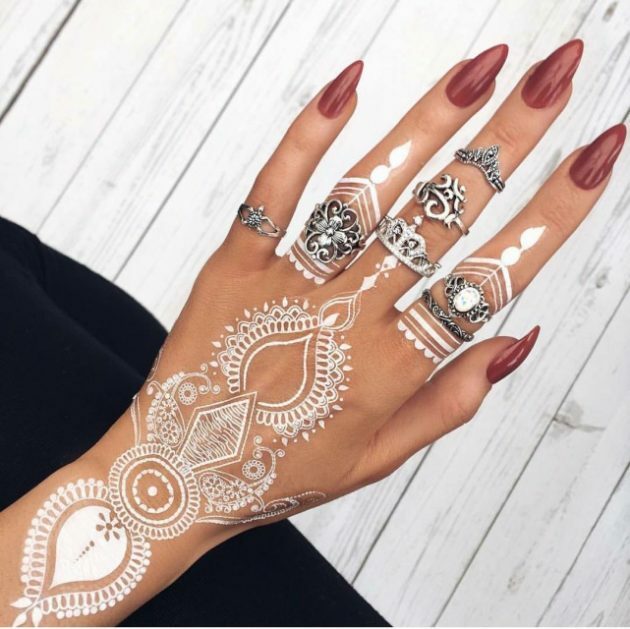 If you’re looking for something different and exciting to spice up your look without much commitment, henna tattoos, also called “mehndi”, are a great option. 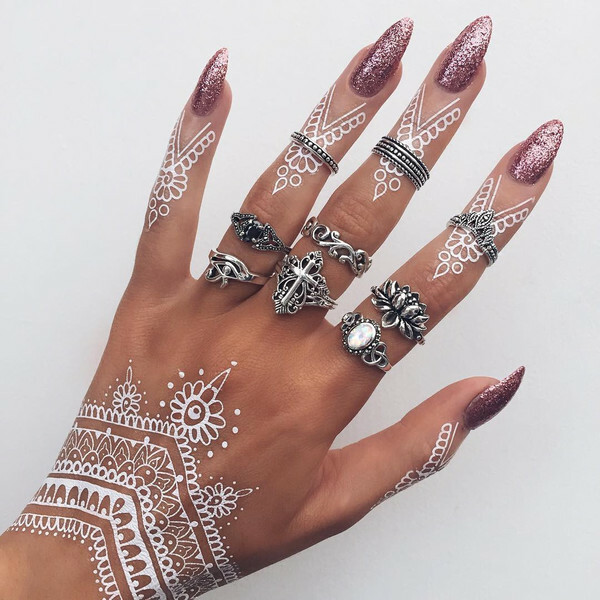 Not only there are tons of gorgeous designs, they’re also totally temporary – can be washed off after a couple of weeks. 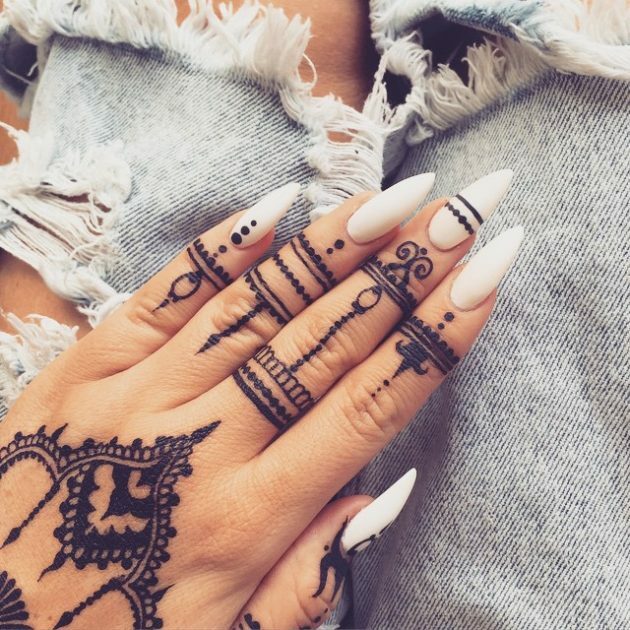 So, what exactly is henna? 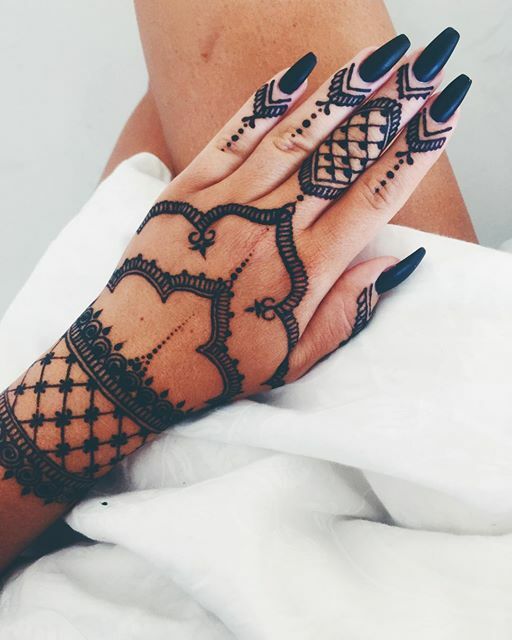 Henna is a plant based dye, which comes from a bush called Lawsonia Inermis, which is native to the Middle East. The leaves of the plant are plucked, sun dried and crushed into powder. It is then mixed with water to make henna paste, which is used to create henna tattoos on the skin. The paste is green in color, and you can expect to see orange to dark maroon stains on the skin in the form of tattoos. 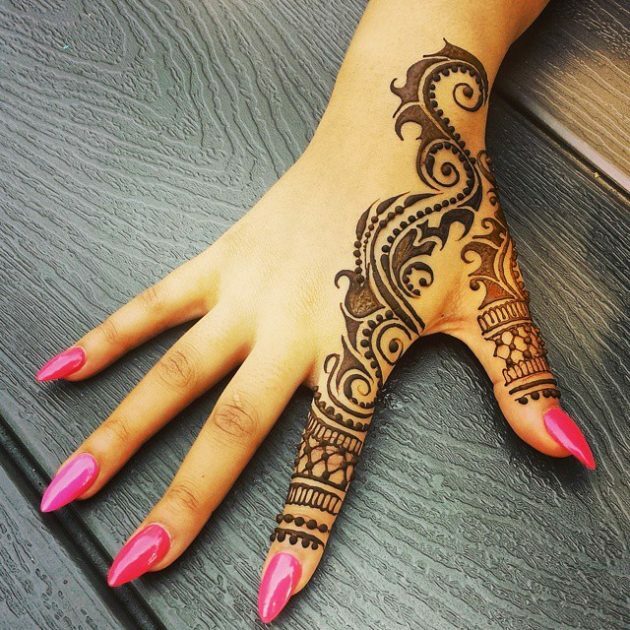 Henna usually fades away around 7 to 14 days as it only affects the top layers of your skin. 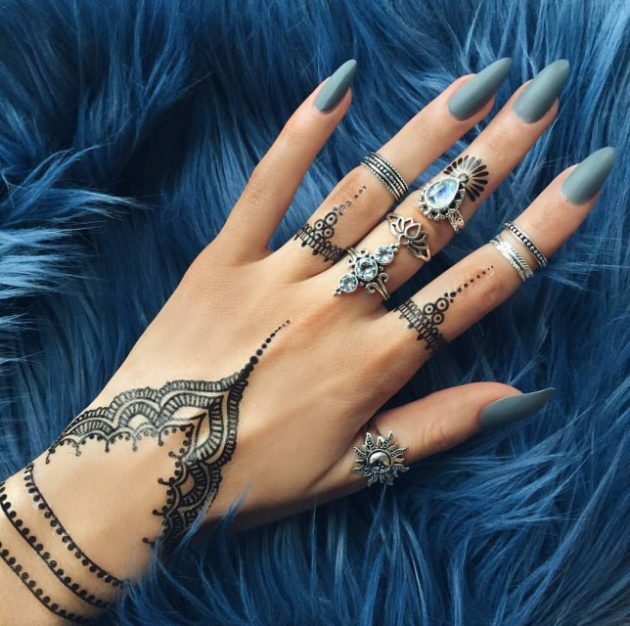 Additives such as lemon juice, water, molasses and tea are used to prevent the temporary tattoo from spoiling. 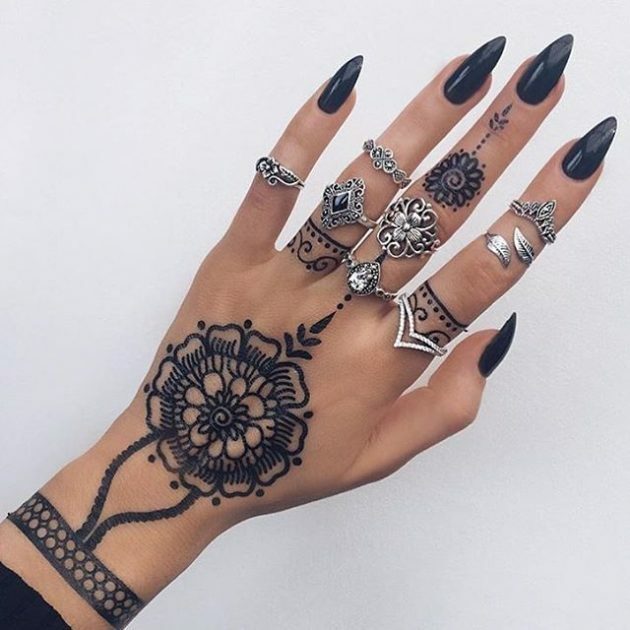 Like I said previously, the best thing about henna tattoos is that they are temporary and you can change the design of your tattoo from time to time, reflecting the changes in your mood. 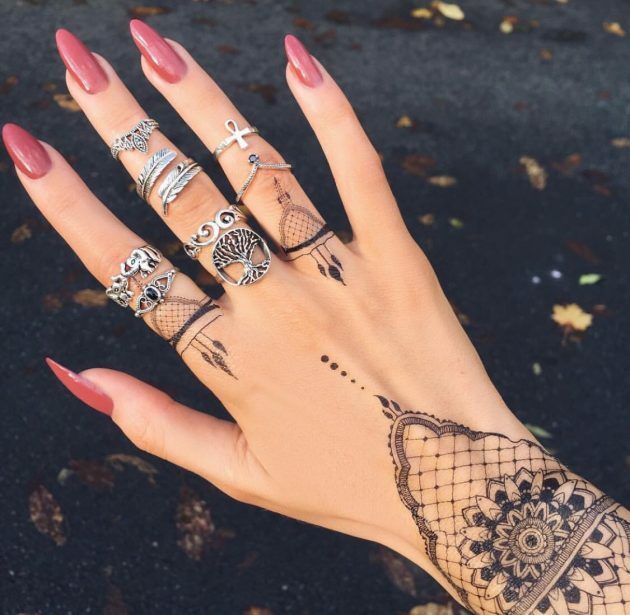 The real focus of these tattoos is beauty, so they will usually have very thin, precise lines and a design that covers as much of the hand as possible. The sheer amount of detail is enough to awe anyone, and if the artist is particularly good, their design can be absolutely mesmerizing. 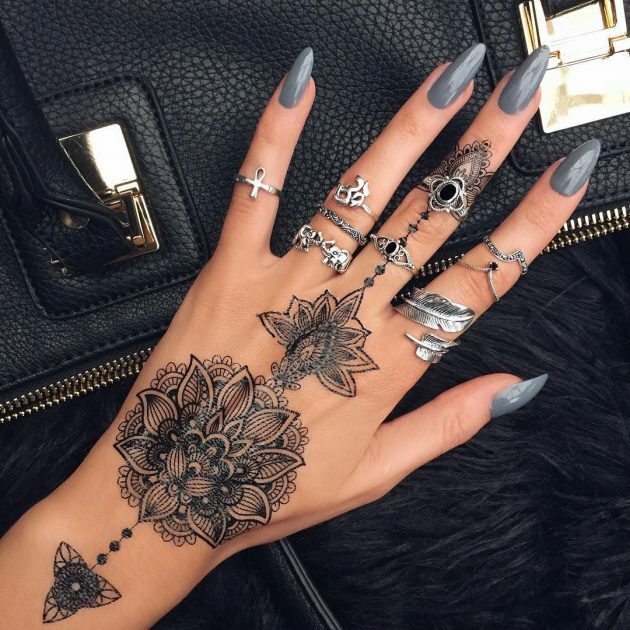 In this post you can find incredibly beautiful henna tattoos and can make your choice right here. Only make sure you have found the best tattoo artist who can provide you with the desired tattoo. 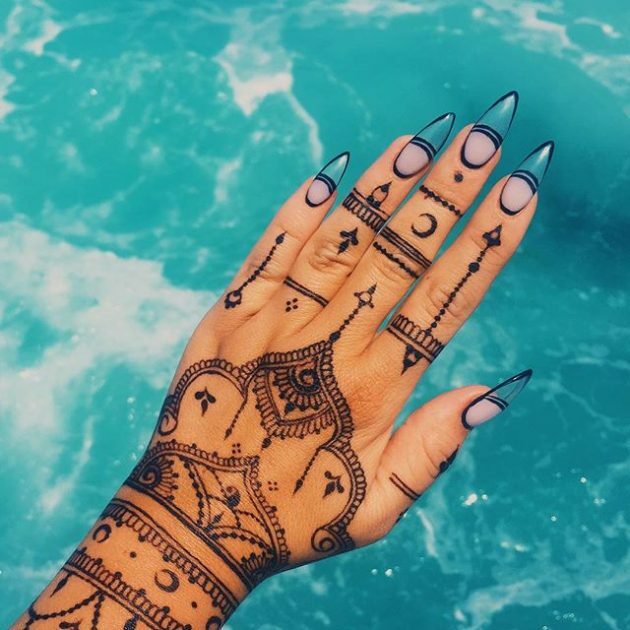 Black henna is dangerous to your skin – it can lead to blisters and burns that can cause a lifelong scar because it’s full of toxic additives. 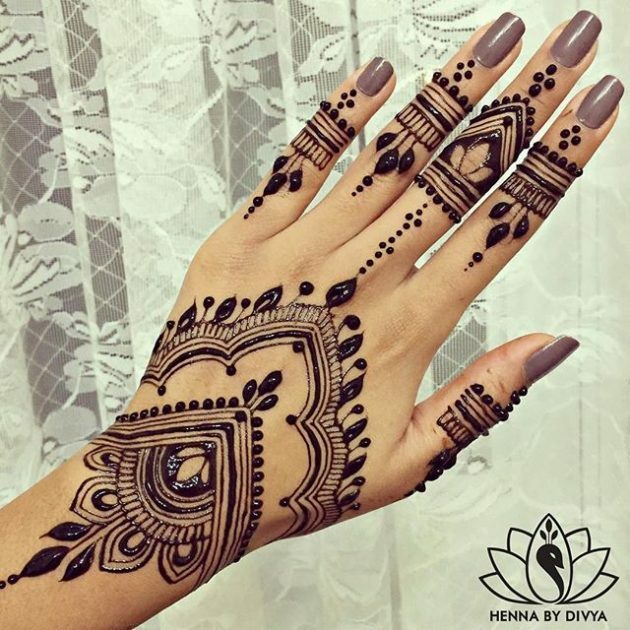 Natural henna that has been used for thousands of years comes across as orange, red or reddish brown. 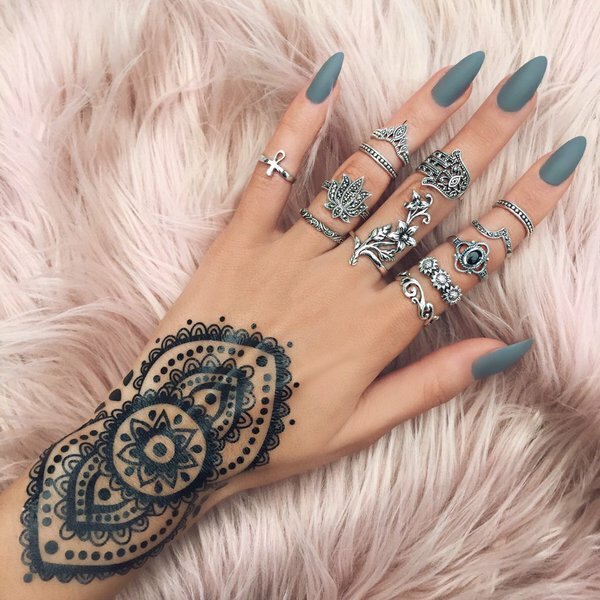 So, next time you are planning to get a henna tattoo, make sure to ask the artist what color the tattoo will be. 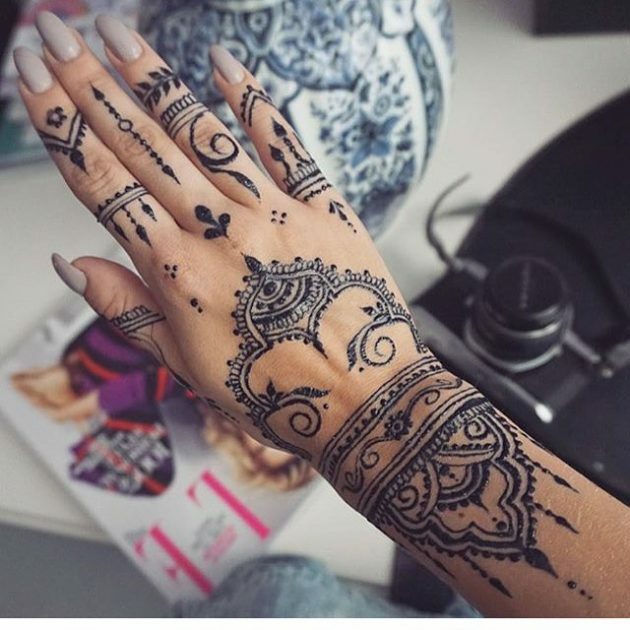 So, my beautiful ladies what do you think about henna tattoos? Let us know your thoughts in the comment section below! Thank you for reading! Enjoy in the rest of your day and stay up for more next time!